make your visits fast, efficient, and effective. refer to other specialists as neeeded. - No preconceived treatment plans. Simply I will treat you for as long or as little as needed. - I will explain your condition in detail. - I accurately diagnose condition and causes, then give expert advice on how to eliminate the cause. -Once the cause is eliminated I will provide you with exercises to help you manage your condition. True health comes from within and the correct balance of expert advice and personal responsibility. 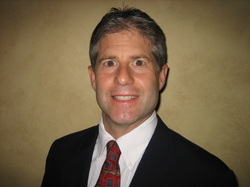 Doctor Nelson is a graduate of the University of Wisconsin, La Crosse. Then he went on to attend Palmer College of Chiropractic where he graduated in 1998. Doctor Nelson has two locations 2615 Packerland Dr Ste G in Green Bay, loacted off of HWY 172 on the west side near the airport. The second location is at 1140 Egg Harbor Rd in Sturgeon Bay. Doctor Nelson lives in Green Bay with his wife and three children. In his off time Dr. Nelson enjoys spending time with his family, camping, hunting, and fishing. If you have pain Dr. Nelson can help.